A spray-on gel clings to vertical surfaces. Up to 50% more cleaning power to the task of removing brake dust, road soils and chain lube, all of which bake themselves into the wheels while hot from braking. 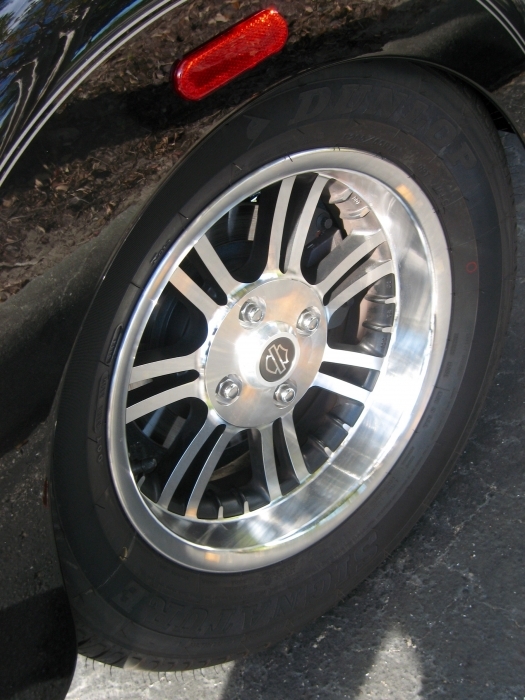 Brake dust alone contains metal particles which are corrosive to the wheel’s finish and should be removed regularly. S100 Wheel Cleaner is non-acid and contains no lye. Instead, S100 Wheel Cleaner uses a proprietary cleaning agent that will dissolve both brake dust and road grime without harming your wheels. Based on the same cleaning technology as S100 Total Cycle Cleaner, S100 Wheel Cleaner does most of the work for you. 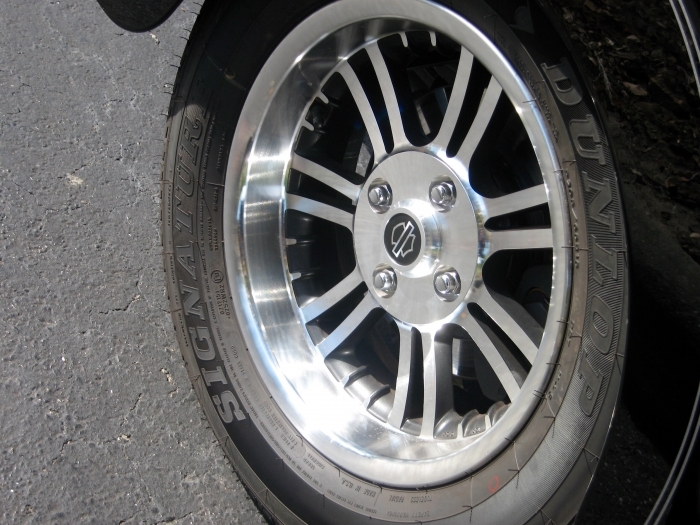 Dirt, brake dust and oil will run off wheels, leaving all types of wheels clean and residue-free. 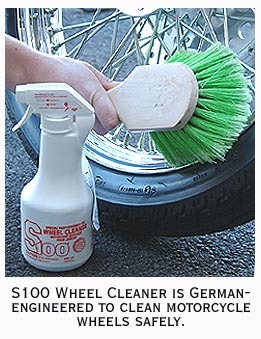 S100 Wheel Cleaner is a spray-on gel formula. By spraying the wheel (while cool) from a distance of about 10 inches, the S100 Gel actually clings to the wheel’s surface. This creates less waste and concentrates all of the product’s cleaning power on the soil itself. By varying the soaking time (short soak for light grime, long soak for heavy grime), the user can actually “program” the cleaning performance. This product was recommended by the dealer from which I purchased my motorcycle from. I used this product for a year before I realized it was oxidizing my spokes. I also spoke to another rider with the same bike who had also had the same problem and just respoked all his wheels. I still use this product for cleaning the rest of my bike which works great but I would be very reluctant to use them on my spokes again. I would give it 5 stars for cleaning everything but your spokes. ProsGreat on dirt, dust and grease. Loved the results on both my trike and my car! Ives tried many wheel cleaners but nothing comes even close to this product! Thanks! cleans wheels well, clinging power is superior , safe on all wheel surfaces , takes the guess work out of which wheel cleaner to use on what type of wheel.